Lagos, July 12, 2018 – The Afrinvest Nigerian International Debt Fund (NIDF) is set to pay noteholders the 2018 interim coupon in July 2018. This coupon will mark the 41st coupon in the history of the Fund since its introduction in 1997. 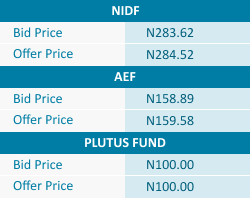 The NIDF is an NSE listed mutual fund managed by Afrinvest Asset Management Limited (AAML), which invests in fixed income securities of Federal and State Governments of Nigeria. It is characterized by minimum risk, steady returns and high investment liquidity, and has consistently paid coupons twice a year for the past 20 years. A total of N17,787,334.83 will be paid as interim coupon to be distributed amongst subscribers in the register of the Fund as at June 30, 2018. This translates to about N4.18 per note. 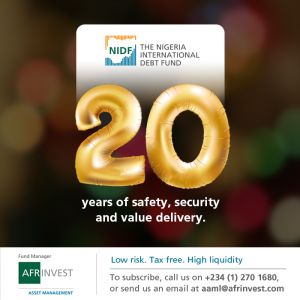 We would like to thank all our loyal subscribers for choosing the NIDF and Afrinvest Asset Management Limited. We reiterate our commitment to expert service delivery that meet today’s financial needs. 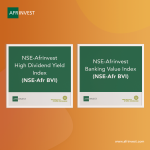 For more information on Products and Services of Afrinvest Asset Management Limited, click here. 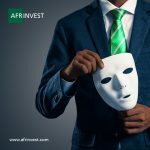 For more on our other products and services, visit Afrinvest Plutus Fund and Afrinvest Equity Fund.